If you cannot win, make the one ahead of you, break the record! In the past couple of years I realise that in order to be the best I had to train with the best. 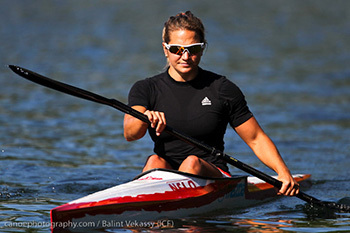 Thanks to the Canadian Athletes Now Fund I will now be able to go and train with the best people in the world so that in 2012 I can not only compete against the best…but Beat the best! I have 2 different coloured eyes! My dad made the Olympic Games in 1976 also in the sport of kayaking. My little brother Hugues is also a Canadian Athletes Now Fund recipient. My little sister Laurence is 12 and practise syncronise swimming hard and will hopefully join me and my brother on the Canadian Athletes Now Fund! !